Art festival Hackney WickED has announced it will not be going ahead this year due to “ever-increasing” production costs. The annual festival, which has been running since 2008, is taking the year off to “re-evaluate and adapt to the changing nature of Hackney Wick”, and will instead be curating a programme of smaller events. In a statement, the festival organisers said: “The festival faces ever-increasing production costs that are necessary to manage the event in line with requests from authorities and our own desire to present a safe, professional event. “Thousands of pounds have previously been spent on waste disposal, security, street cleaning and the general infrastructure required to manage the 30,000 plus crowds that attend the festival each year. Anna Maloney, one of Hackney WickED’s six directors, told the East End Review earlier this year that “for Hackney Wicked and other local organisations the police and council have made it quite difficult for us to put things on. All is not lost, however, as Hackney WickED now aims to evolve as an organisation by supporting local artists and creating more art events across London and beyond. It has also been awarded Arts Council funding to conduct research to measure the value of Hackney WickED to the wider community, which will help map out the way forward. 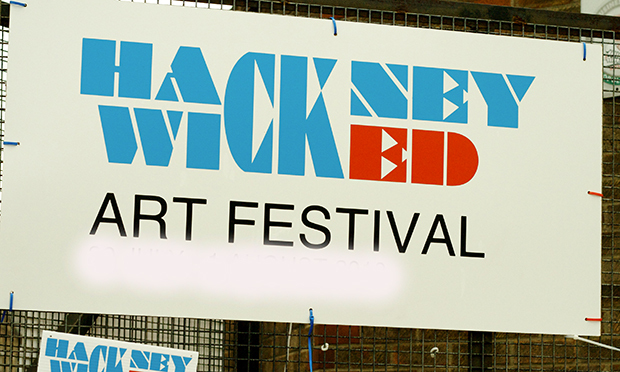 Hackney WickED was formed by artists living in Hackney Wick as a “defiant uprising” in the face of the London Olympics. Since 2008, it has promoted creativity in Hackney Wick and provided a platform for local artists to showcase their work.